Sonoma County is in Northern California. 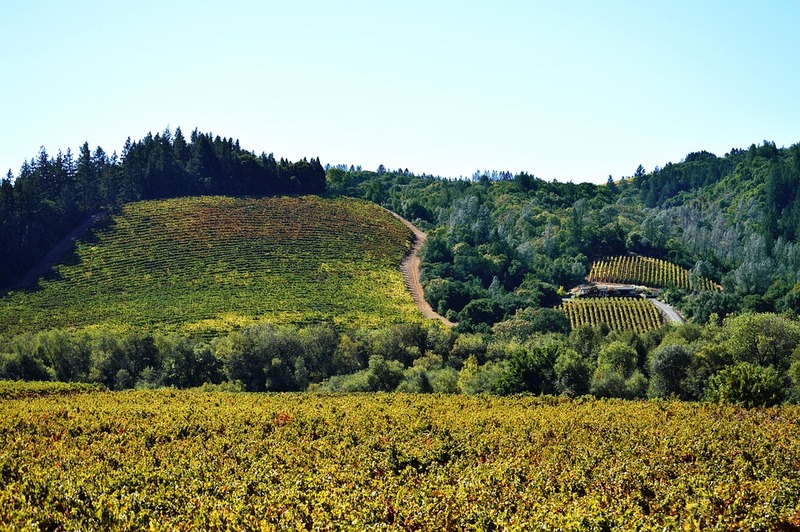 It’s known for the Sonoma Valley wine region, as well as other notable winemaking areas such as the Dry Creek and Alexander valleys. The city of Sonoma is home to the 19th-century Mission San Francisco Solano and the central, colonial-era Sonoma Plaza. Near Glen Ellen, Jack London State Historic Park contains the gravesite and cottage of the American author, plus many trails. In October 2017, the most destructive wildfire in California’s history (at that time) put the North Bay city of Santa Rosa in the spotlight. It was a complete shock for the area, which was already renowned for premium wine and craft beer, farm-to-table dining, unique accommodations, and gorgeous state parks. Although the rebuild is still underway, new and remodeled businesses are rebounding with a community that is stronger than ever, and they are ready to share the riches of the region. To experience all Santa Rosa has to offer, you’ll want to set up shop. Lodging options range from the hip, economy Sandman Hotel to the contemporary Hyatt Regency Sonoma Wine Country. 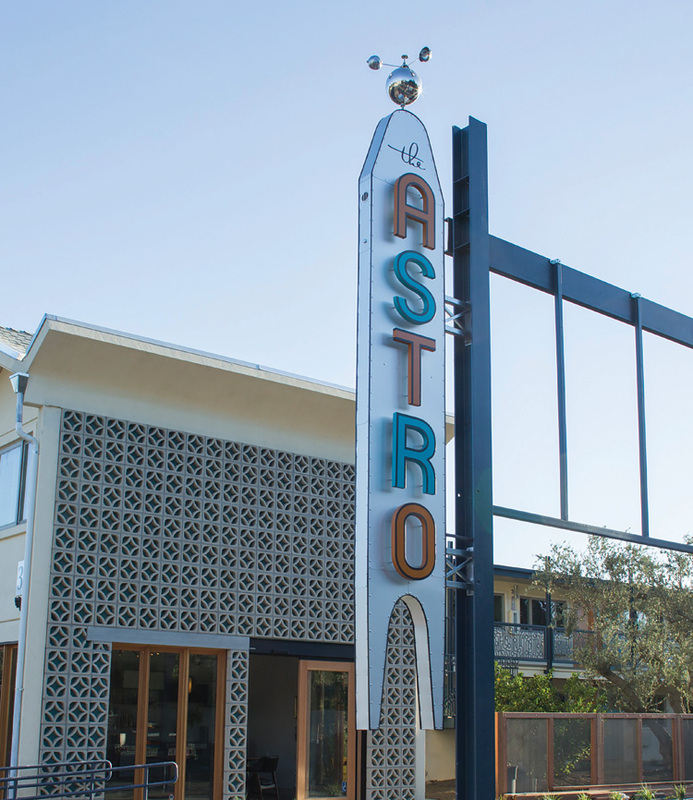 Nestled near downtown in the funky, up-and-coming SOFA Art District is The Astro, a recently remodeled ’60s motor lodge with kitsch to spare. This thirty-four-room midcentury modern piece of nostalgia offers a modern vibe and cozy rooms and is truly a masterclass in the Five Rs (refuse, reduce, reuse, repurpose, recycle). The neighborhood is home to approximately thirty artist studios, along with galleries and restaurants. For a closer look at the local landscape, rent a bike on-site at The Astro and hop on the Santa Rosa Creek Trail. Wineries in Sonoma County range from simple and rustic tasting rooms to fairy-tale castles. Around here, the small, family-owned gems are always favorites. In the local winery region of Olivet Road, don’t miss the turn for Sunce Winery, where owners Janae and Frane Franicevic welcome guests to taste the juice and partake in fun pairings with food such as kimchi hot dogs. Pick up a mystery brown bag of wine to take back to the hotel, then relax and enjoy a game of bocce ball on the deck with Frane the winemaker. Carol Shelton Wines—an eponymous label—has been a cult favorite of locals for years, with its tasting room and winery hidden away in an industrial park in North Santa Rosa for over a decade. Shelton can often be found pouring wine in the tasting room. 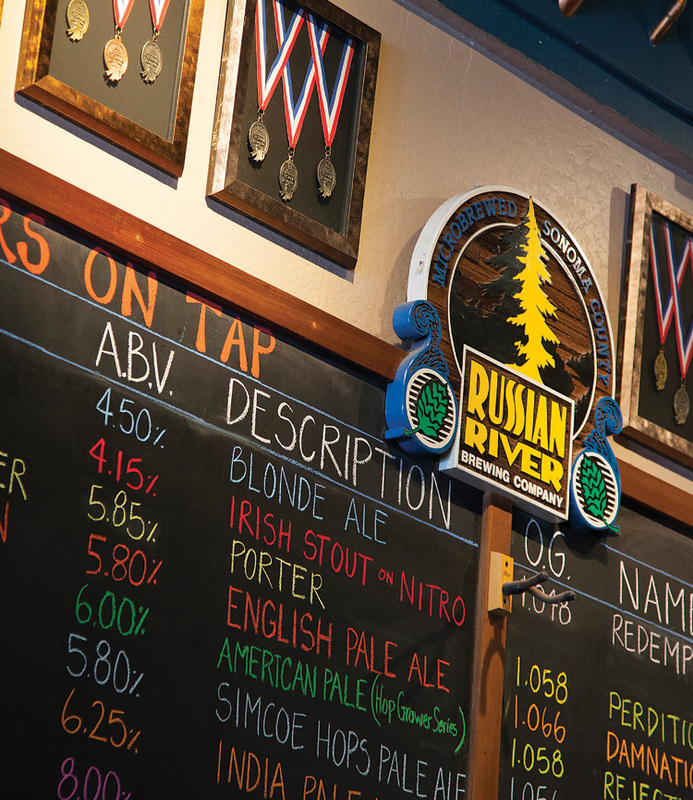 From grapes to hops, craft beer is now a substantial part of Sonoma County’s identity, thanks in large part to the Russian River Brewing Company. There’s almost always a line at the in-demand downtown spot, where you can find the highly sought Pliny the Elder and Blind Pig IPAs on the menu daily. With wine-country roots, this might be the only craft brewery where you can also order up a glass of local Korbel bubbly. You’re here for the beer (and bubbles), but you’ll definitely want to order the Pliny Bites—crisp bites of pizza dough topped with melted cheddar and jalapenos. A couple of new breweries on the block worth visiting are Fogbelt Brewing and Cooperage Brewing. Fogbelt offers up local favorites such as Zephyr Gose and Del Norte IPA, while Cooperage keeps imbibers entertained with televised sports on the big screens, bar games, and board games while enjoying classic west coast IPAs and pale ales. There’s no shortage of fresh farm-to-table food in Santa Rosa. The Spinster Sisters is regularly voted best in Santa Rosa for its variety of dishes in a style that can only be called Sonoma County Cuisine. Located in the SOFA Art District, favorites include Kimchi Deviled Eggs and Wilted Kale Salad, though you can’t go wrong with any menu item here. Nearby, the venerable Dierk’s Parkside Café is a classic diner-style joint known for its hearty breakfast plates of Country Benedict and Corned Beef Hash. 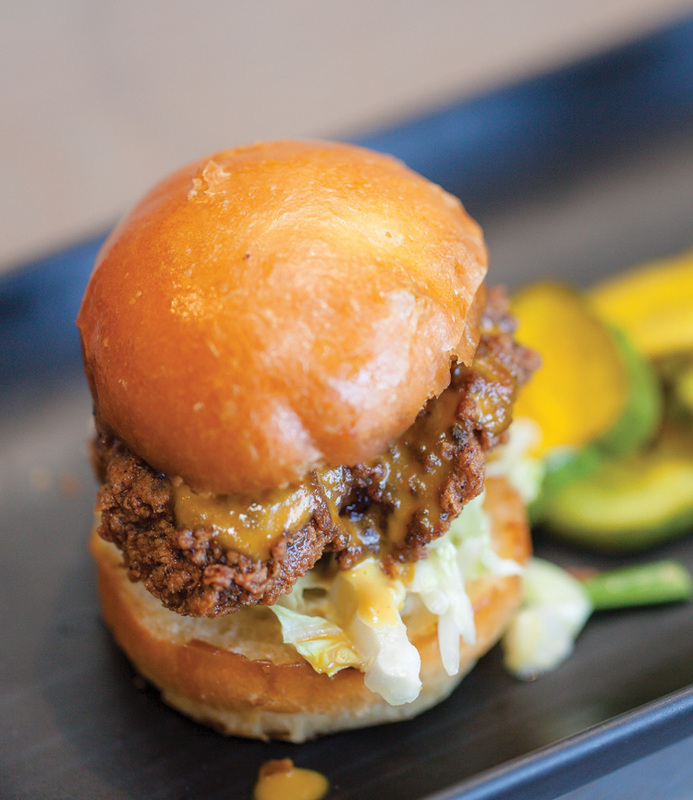 New to town is the hip yet cozy Bird and the Bottle, featuring Asian, Southern, and Jewish flavors. The move here is pretty craft cocktails paired with tasty shareable plates like Fried Chicken Sliders and Fried Oyster Lettuce Wraps. The nightly happy hour encourages experimentation with the well-curated cocktail menu. For extra-special occasions, locals love the celebratory feel of a meal at La Gare French Restaurant, where specialties like classic Beef Wellington and Crab Cakes are served with reliable finesse. For a day trip of breathtaking coastal scenery, take River Road from Santa Rosa to Jenner, where you’ll follow the Russian River all the way out to the Pacific Ocean. Stop in Guerneville along the way to visit Armstrong Redwoods State Natural Reserve, where you can hike along East Trail Ridge through and above the majestic Redwoods. In Jenner, Sonoma Coast State Park is a showcase of crashing waves, sea lions sunning on the beach, and mind-blowing sunsets. From Jenner, hop on Highway 1 and head south along the coastline to Bodega Bay, legendary filming location for Alfred Hitchcock’s classic The Birds. Grab a bag of saltwater taffy along the way and take a drive through Sonoma Coast State Beach, where common sightings include sea lions and gray whales. 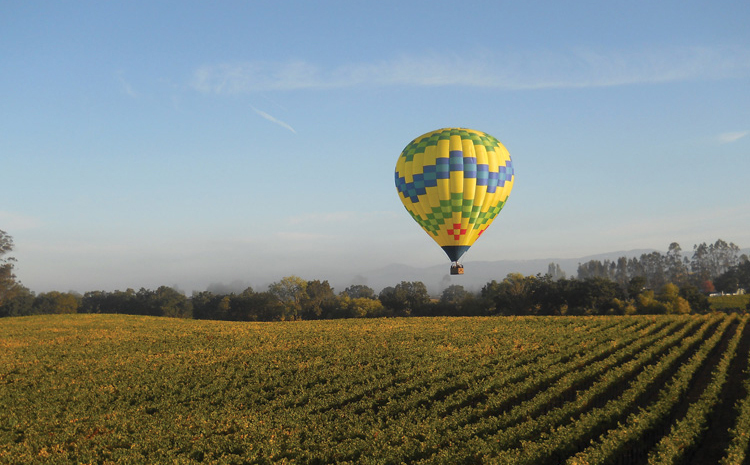 Having risen from the ashes and moved through restoration to renewal, Santa Rosa once again beckons visitors to savor the bounty that is the heartbeat of Sonoma County.